The Japanese blooming willow Salix integra originates from the Asian flower garden culture and is mainly cultivated as standard. 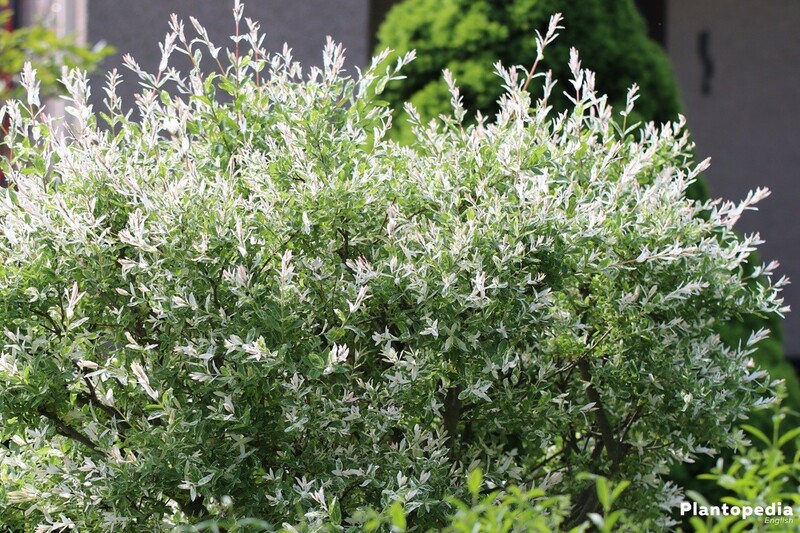 It is undemanding and enriches every garden with its extraordinary optics of the green-white variegated leaves. Their intensity can vary depending on light intensity. 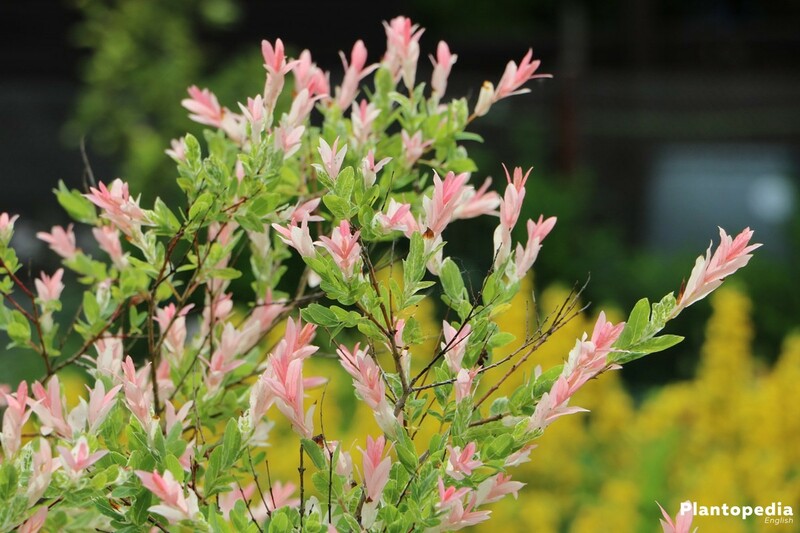 Also, the pink budding in spring and the catkin in fall make the blooming willow an attractive ornamental shrub. 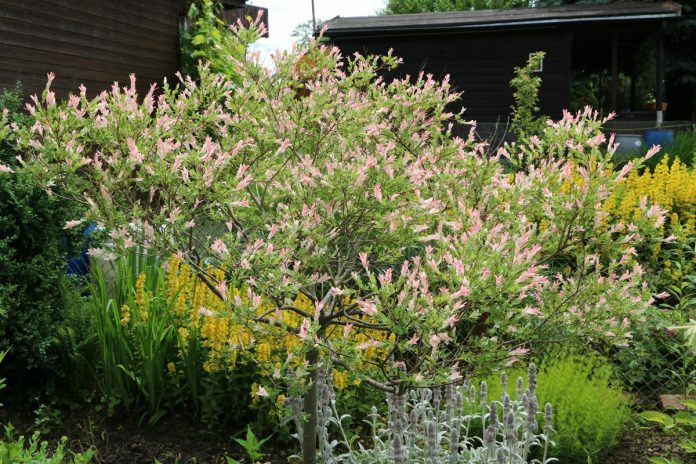 The blooming willow, also referred to as flamingo tree, is an ornamental shrub, which is mainly cultivated as standard. It grows rapidly, but remains relatively small in size. Standing alone, the blooming willow has a noble appearance, but it can also loosen up areas with green or lighten up dark ones. 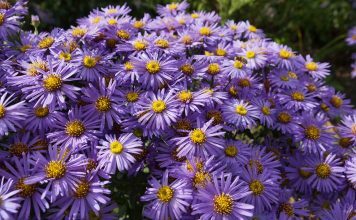 It is the star between soil-covering shrubs, weeds, winter heaths and lavender or different early blossoming plants. 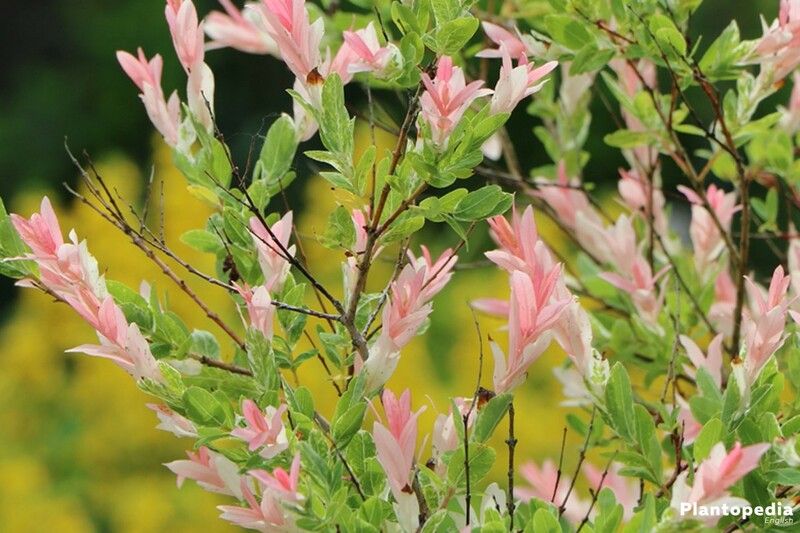 The blooming willows owes its name to its strongly pink leaf tips and the white-green marbled leaves. 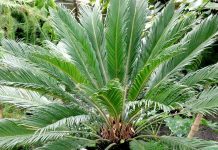 This gives the plant a noble appearance and looks like extensive caretaking. However, this is hardly the case. Like most native willows, the plant only has modest demands regarding care. Still, a few details have to be considered. 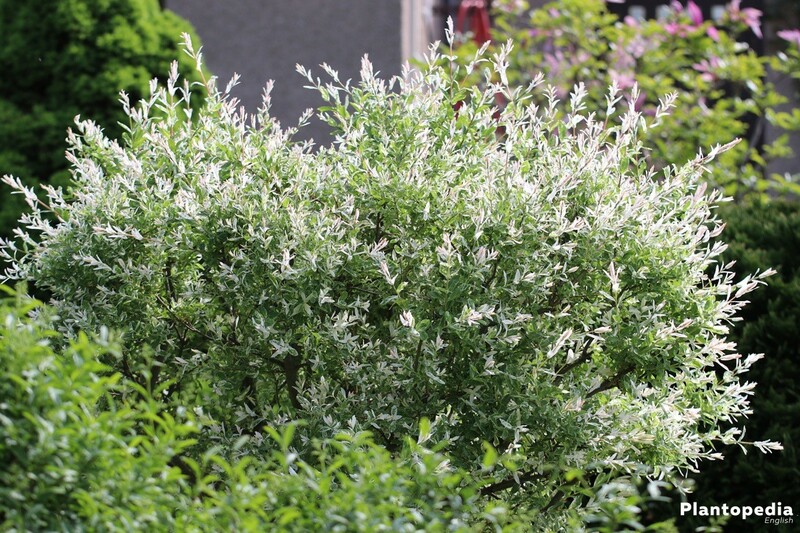 The blossoming willow Salix integra grows best in sunny to slightly shadowed places, but it prefers the sunnier conditions. In darker places, it grows less quickly and worse in general. 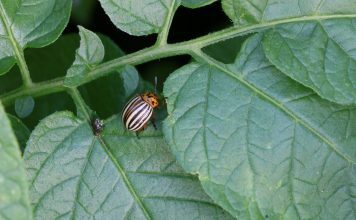 Light conditions also influence leaf coloration intensity: The brighter the place, the stronger the green-white contrast of the variegated leaves. 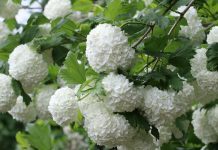 This attractive ornamental shrub can generally deal with any kind of garden soil as long as it is rich in nutrients and can hold water well. If planting in beds, the soil should regularly be mulched. Condensed, waterlogged soils are less well fit. However, they can be made more permeable by adding sand. Before planting, the soil should be loosened up, to facilitate the willow to grow. Afterwards, one scoops the earth to form a hole that is roughly twice as big as the root ball. 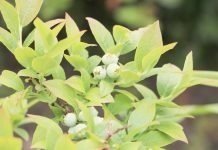 Before planting, one should assure that the distance to other shrubs and groves is roughly 0.70 or 0.80 cm. Once the plant is in the earth, the rest of the hole is filled up with the earth that was scooped out. The earth should be mixed with a little bit of compost. Finally, the earth is treaded down and watered thoroughly. 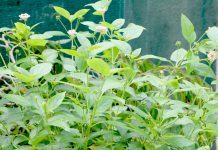 Before planting in buckets, the ball root should be watered well. It is also important that the bucket is big enough, has ventilating holes, and has drainage. Repotting of the blooming willow, Salix integra, is a little complicated, but still possible. The best period is fall, e.g. October. Especially older specimens may have trouble with repotting. Even the slightest damage of the roots can result in poor growth or curling of the leaves. The plant looks like as if it was held in a place that is too dry. However, damages resulting from this are short-term and regulate themselves, as long as the conditions in the new place are good. Still, one should be very careful at repotting. Furthermore, the plant is severely pruned before repotting. It is said that the blooming willow loses as many superterranean shoots and branches as roots are damaged at scooping the plant out. Like all willows, the blooming willow tolerates this pruning without any problem. However, one should not saw off the bud union as well. If this happens, a completely different willow would grow from the lower stem since the stem is generally from a completely different willow species than the superimposed willow cultivation. After digging the plant out, the root ball should be watered for a couple of hours. The planter scoops out a sufficiently big hole and loosens up the earth. After that, the blooming willow can be planted into this hole. Next, earth is added to fill up the rest of the hole, the earth is treaded down and thoroughly watered. One should water Salix integra well in the first weeks after repotting until it settled in the new place. Young or freshly planted specimens have to be watered regularly and should never be left dry. Usually, older and settled blooming willows only need watering at continuous heat and drought. They tolerate short-term periods of drought without any problem. In order to reduce the watering volume and to prevent the soil from drying out, a layer of mulch can be added. Plants held in buckets have to be watered more frequently. The root ball dries out way faster and willows are very thirsty plants. Ideally, one waters with rain water and not before the top layer of earth is dry. Waterlogging has to be avoided, however. 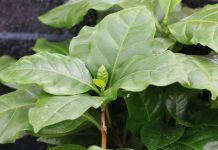 Curled in leaves point towards a lack of water, which should be taken care of immediately. Older ornamental willows planted in beds do not necessarily have to be fertilized. Still, they are thankful for a bit of compost and mulch in spring until August. Fertilization should be stopped in September. Bucket plants only have limited access to soil. This makes over-fertilization more likely. 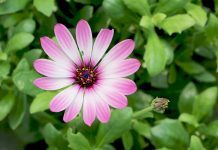 One fertilizes them once in spring and another or the last time in mid summer. Complete fertilizer or compost can be used as fertilizers. 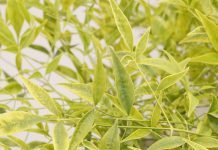 Some specials shops also offer a special whole fertilizers for willow plants. Like all willows, the blooming willow grows rapidly so that regular pruning is recommended. Otherwise, the grove will become bewildered and does not look as good. Also, the shoots tend to form hardwood with increasing age. This leads to bare spots and makes the willow more susceptible to disease. The Japanese ornamental willow can be pruned more severely in spring and fall. The summer months are for smaller corrections. The advantage of pruning in spring is that wound closure happens way faster and easier than in fall. 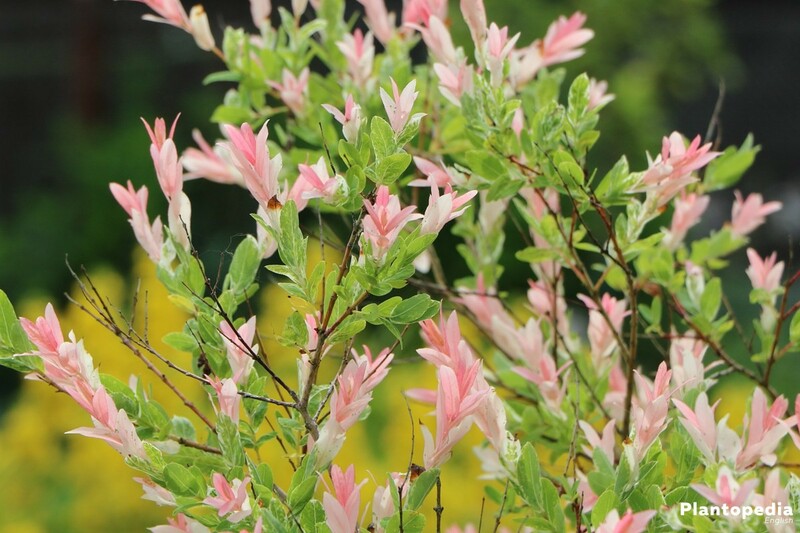 Even though groves are generally pruned between the third and fifth year, it can be done way earlier with the blooming willow Salix integra to determine the direction of growth. For this, all dead and damaged shoots are removed before. One should make sure that no stumps are left on the stem. Afterwards, all other shoots around the crown are pruned to roughly one third or half of the original size. This gives the crown its spherical shape. Regarding the standard, all shoots that grow out of the original stem, which is the actual stem below the bud union, should be removed. If the blooming willow is cultivated as a shrub, it is just thinned out regularly: Usually only dead, sick or annoying shoots are removed. Since the willows grows rapidly and keeps producing new shoots in summer, it quickly loses its shape. Therefore, all shoots that stick out of the crown are shortened in summer. Even young shoots can be shortened, as long as this does not affect too many. 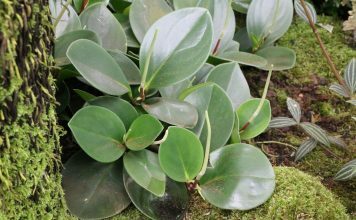 The removed material can well be used for cuttings propagation. Before pruning, one should make sure to use clean pruning tools or disinfect them to minimize the risk of infections. 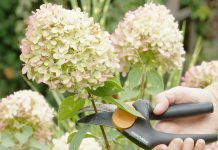 To raise young cuttings to standard, they have to be well accommodated in the garden. During the growth period, all side shoots except for the main shoot are removed. One should do this again and again until a strong stem develops and the plant reaches its final height. Sometimes, fertilizer can be applied to enhance growth. For the young plant to grow straight, it helps to bin it to a small stick. 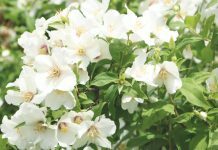 Older blooming willlows are usually robust enough to tolerate the average winter without problems if they are planted in the garden and not in buckets. But especially younger plants should be given a little bit of winter protection, e.g. by covering them with fir brushwood, straw, garden fleece or foliage. One should make sure that sufficient air ventilation is ensured all the time. 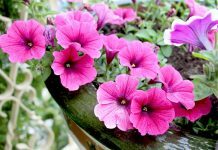 The situation is different for plants in buckets since they are more vulnerable to frost. 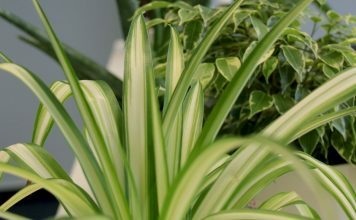 To get them through the winter safely, one can bring them into a cool, frost-free room with a bit of sun inside the house. With respective protection, they can also overwinter outside. 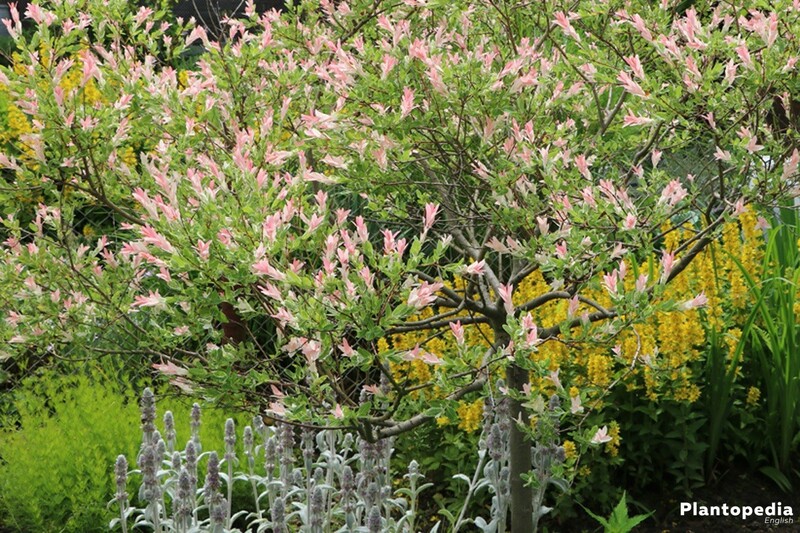 The blooming willow can be multiplied by cuttings or sprigs. Plants from cuttings can, however, have a different coloration than the parental plant. This is due to the grafting. The blooming willow is relatively vulnerable for the so-called willow anthracnosis, which is a fungal disease. If the tips of branches and shoots look burnt, wilt and become black, this disease is very likely to be present. The respective branches and twigs are then radically pruned, far into the healthy wood. The cut out material should be removed in the normal trash, absolutely not in the compost. Also, leaves laying on the ground have to be completely removed. 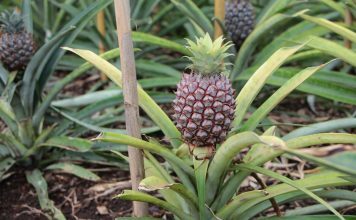 To prevent recurrent infection, one should find the right balance between watering and fertilization. Traces of eroding and orange egg depositions on the leaves of the blooming willow can be due to the infestation with the willow leaf beetle. In the worst case, a willow’s leaves can be eaten away completely. In most cases, however, birds naturally solve this problem. If this should not be sufficient, respective insecticides can be bought in specialised shops. A lot of ants at the willow can point towards an infestation with aphid. 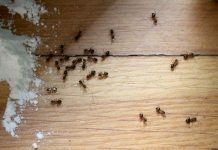 This infestation can initially be removed with a strong stream of water. Also, the plant should be sprayed with a solution of soap and water several times. One table spoon of soap is mixed with 1 litre of water. A mixture of water and nee moil. 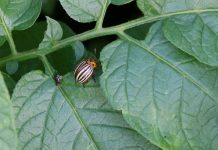 Planting thymian, salbei, savory, or lavender close by can prevent an infestation with aphid.